Roger Lewis has been appointed chairman of Racecourse Media Group (RMG), the umbrella organisation for 37 racecourse shareholders and parent company of Racing UK. Lewis, who is currently the senior independent non-executive director on the RMG Board, joined the company in May 2012. He will take up the position of non-executive chairman in January 2019. He brings to the role extensive experience in promoting sports and entertainment rights, fostering relationships with major broadcasters across Europe and the US, and Government relations in a career spanning over 40 years. 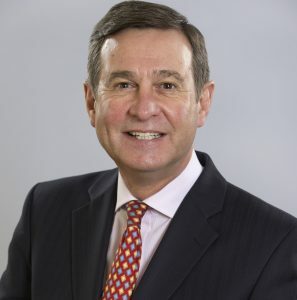 A former head of BBC Radio 1, Lewis held managing director roles at EMI, Decca, Classic FM and ITV Wales before moving into sport, where he held positions as Group CEO of the Welsh Rugby Union and the Millennium Stadium plc and sat on the Board of the European Rugby Cup, the British and Irish Lions, and the Council of the Six Nations. He is also the chairman of the board of Cardiff International Airport Ltd and the Churchill Lines Foundation, a military charity. Lewis has a wealth of experience sitting as a non-executive director on public and private, as well as voluntary, sector and government boards. Lewis said: “The RMG story is a remarkable one and shows what can be achieved via collective enterprise and ownership of content. The racecourse shareholders’ commitment to this business and the work of the executive team at RMG means that the company is forecasting to deliver record media licence fees in 2018, payments which are channelled directly back into racing. “Over the course of my six years on the Board it is clear that the professionalism, experience, insight and horseracing passion of the executive team at RMG, supported and challenged by a strong Board, has resulted in the delivery of a high-quality racing product. Lewis takes over from Simon Ellen, who joined RMG as a non-executive director in June 2010, before commencing his chairmanship the following year.